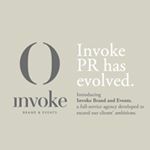 Invoke Brand & Events are seeking to hire a hard-working, event-savvy individual to join our dynamic and expanding team at Intern level for an immediate start. The chosen candidate will be involved in the planning and execution of a range of cutting-edge brand campaigns & events on behalf of clients from Property, Business, Lifestyle & Consumer disciplines. You will join a creative team of marketers and designers as an Events Intern to support the Event Manager and team in the creation and delivery of bespoke events for Invoke Brand & Events and our clients. • Attention to detail | Well organised | Hard-working. • Creative thinker • Proficient in Word, Excel, Power point/Adobe PC and general computer knowledge. • Development, production and delivery of projects from proposal right up to delivery. • Delivering events on time, within budget, that meet (and exceed) expectations. • Setting, communicating and maintaining timelines and priorities on every project • Communicating, maintaining and developing client relationships • Managing supplier relationships • Managing operational and administrative functions to ensure specific projects are delivered efficiently. • Providing assistance, support and motivation to the team. • Travelling to on-site inspections. • Being responsible for project costs & budgets from start to finish. • Ensuring excellent customer service and quality delivery. Additional Skills: • Problem-solving and management through stressful situations • Project management, timelines, and task management • Registration and communications best practices (experience with event registration platforms) • Evaluations, reporting and analysis • Leadership and strong interpersonal skills • Outstanding written and oral communications skills • Working knowledge of Excel, Power Point, Word and cloud-sharing programs • Understanding of social media in event settings • Time Commitment: full time; travel will be included; long days and some weekends are expected. This is a paid Internship | Interested applicants, please email your CV in confidence to Careers@invoke.ie.